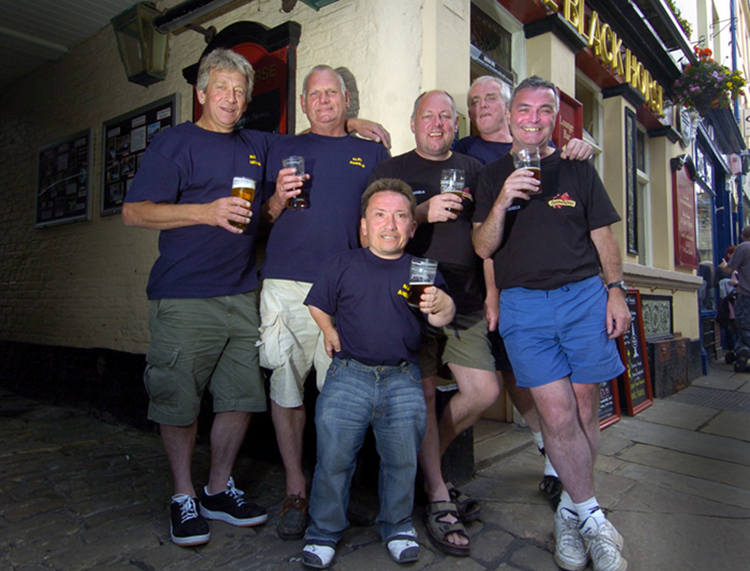 The triumphant Ales Angels after completing a mammoth 60 mile fundraising row from Tynemouth to Whitby in July 2008. Although the challenge was broken down into stages this does not lessen the challenges the rowers faced. In strong winds they had to overcome rain, increased sea swells and fatigue. In uncertain weather the rowers made its arrival in Whitby to coincide with the towns annual lifeboat weekend. I am indebted to the Whitby Gazette for allowing me the use of this photograph.